Corning Incorporated (NYSE: GLW) announces Samsung Display’s selection of Corning Lotus™ NXT Glass as the carrier glass for its line of polyimide (PI) low-temperature polysilicon (LTPS) organic light-emitting diode (OLED) panels, which today power the Samsung Galaxy S8 and S8+. Both the Galaxy S8 and S8+ contain a flexible OLED panel, which requires a carrier glass to support the panel’s polyimide substrate during a demanding manufacturing process. 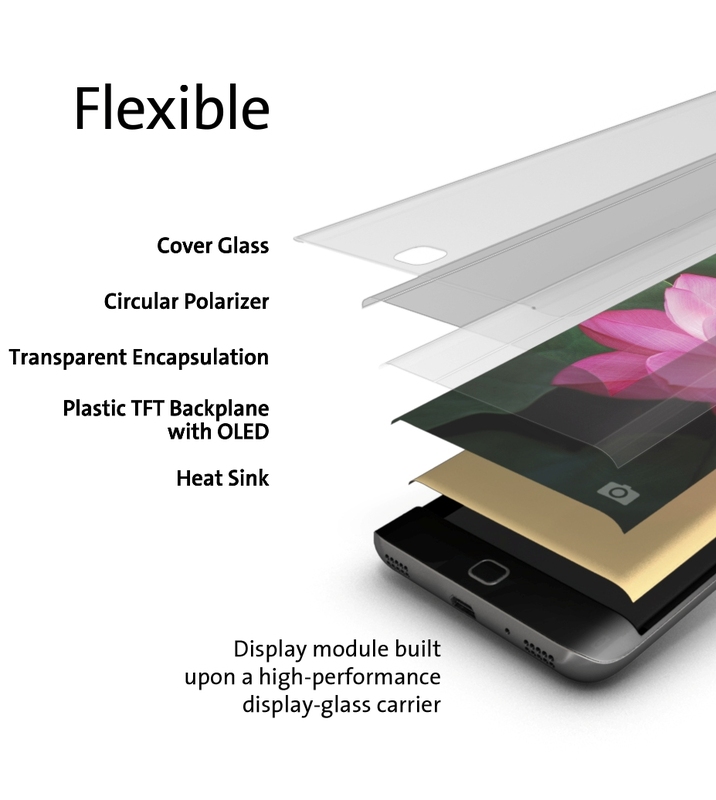 Samsung Display produces flexible LTPS-OLED panels for its customers, who use them in smartphones and tablets with the latest curved displays. Samsung Display’s PI LTPS-OLED panels enabled by Lotus NXT Glass are most recently included in the Galaxy S8 and S8+, the newest products of Samsung Electronics Co., Ltd. The Galaxy S8 and S8+, introduced on March 29, push the boundaries of traditional smartphones with their design. The Infinity Displays on both the Galaxy S8 and S8+ take up nearly the full front of the device to provide an optimal viewing experience. The Infinity Display’s sleek dual-edge design provides the appearance of an overflowing surface, breaking down boundaries and expanding new opportunities, one edge at a time. In addition to the use of Corning Lotus NXT Glass, the Galaxy S8 and S8+ also feature Corning® Gorilla® Glass 5, the latest generation of Corning’s industry-leading cover glass. Gorilla Glass 5 raises the bar for protection against drops onto hard and rough surfaces, making it ideal for consumer electronic devices. Gorilla Glass 5 continues to deliver the damage resistance, optical clarity, and touch sensitivity for which Gorilla Glass is known.